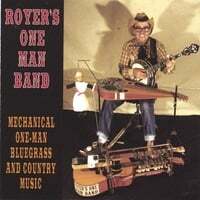 Traditional Bluegrass and Old Time One-Man Band, multiple acoustic instruments played at the same time by one person. The fact that this is a recording of a "one man band" that truly sounds like an accomplished ensemble is a fascinating example of adroit execution. Artists with true musical chops, such as Eric Royer, need to be supported. Bravo.